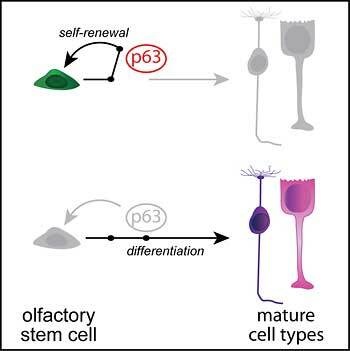 A single gene – p63 ‑ regulates a fundamental decision in the life of an olfactory stem cell: whether to replace itself through self-renewal or differentiate to replace more mature cells in the nose. It does this by acting as a brake or switch. 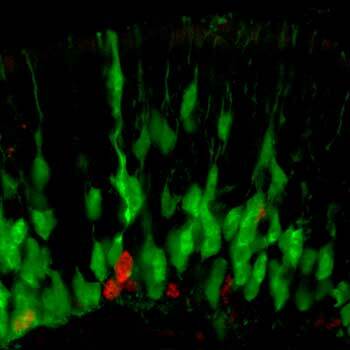 When present, p63 blocks stem cell differentiation into mature cells. 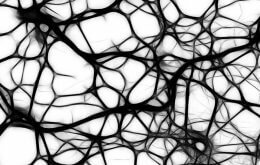 When p63 is down-regulated, the blockade is removed, leading to differentiation at the expense of self-renewal.